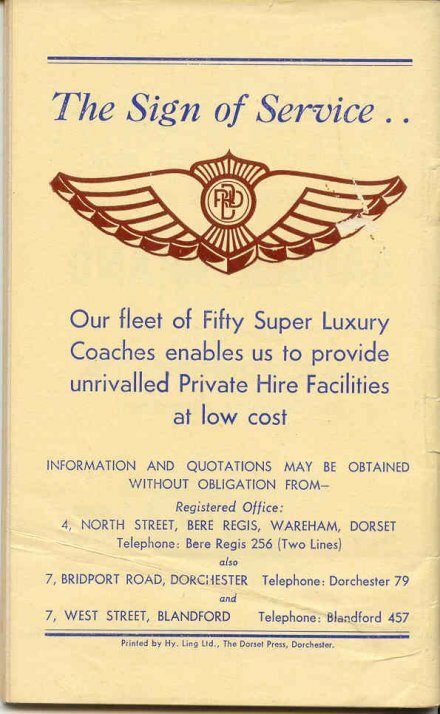 This series of webpages will take you through the 1949 timetable booklet of Bere Regis & District Motor Services. 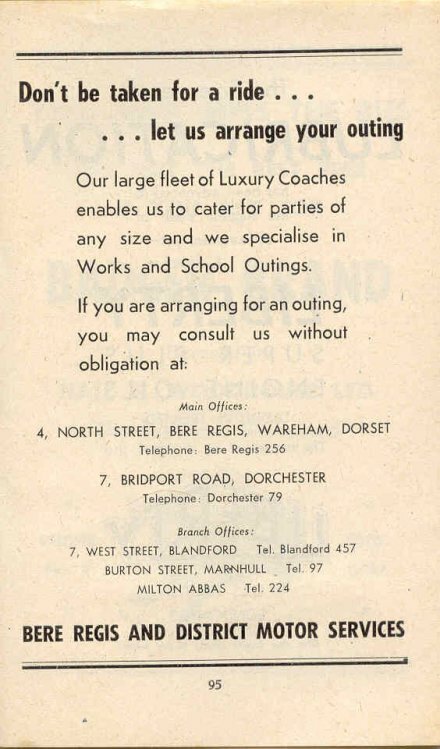 This was the first postwar booklet that was issued for the network of services that had been built up, largely through acquisitions of various business during the war years. 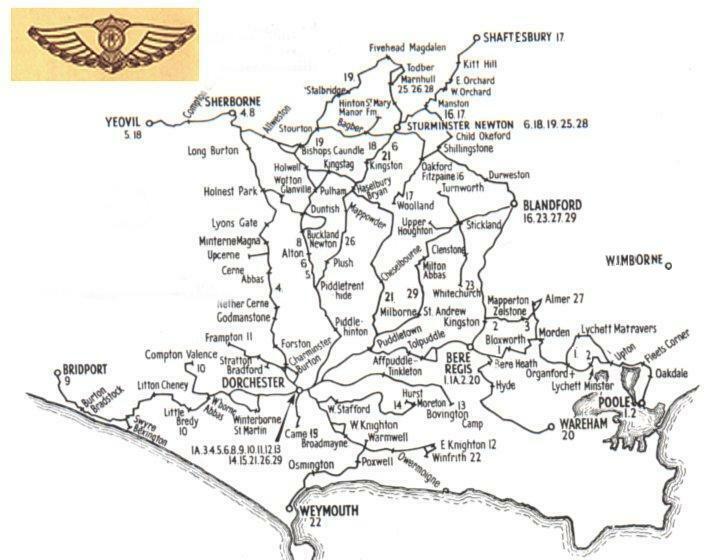 Many of the previous 'radial' market services had been combined into interurban routes, eg Dorchester - Sherborne and Dorchester to Yeovil. 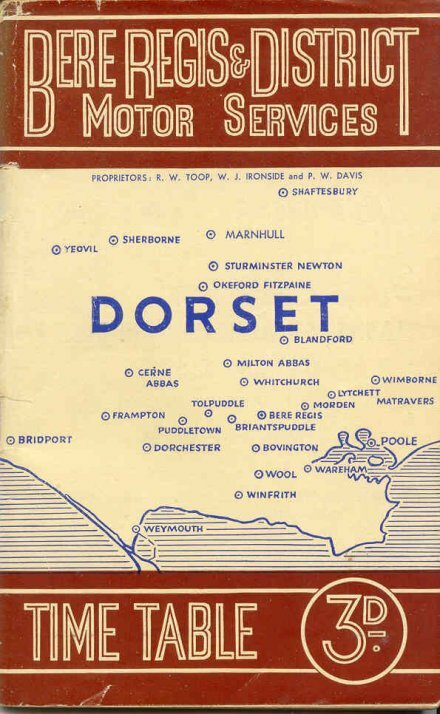 The map on the front cover shows the many parts of Dorset reached by the firm's 35 routes - which are shown in the list of Stage Services below. 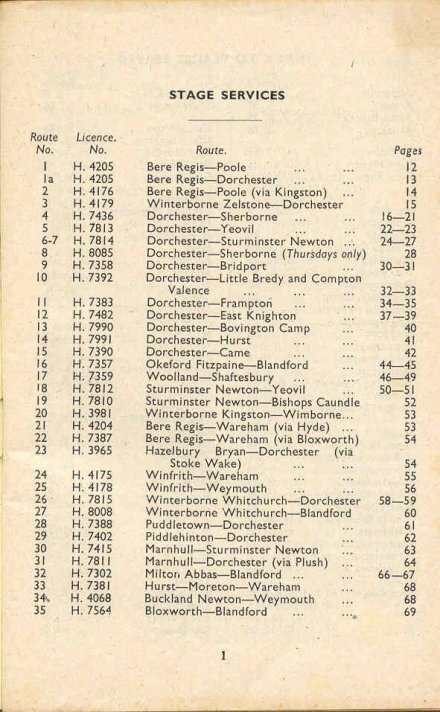 The development of the Bere Regis & District bus service network from 1949 to 1979 is outlined here in a chart listing the routes. A list of the operators acquired by Bere Regis & District over the years is here. The main history page for Bere Regis & District is here.